Chinese Ambassador to Pakistan Yao Jing called on National Assembly Speaker Asad Qaiser at Parliament House on Wednesday and discussed with him matters pertaining to bilateral relations. Regional and global issues, RashaKai Economic Zone, and others ongoing projects under the China Pakistan Economic Corridor (CPEC) also came under discussion. The meeting was also attended by federal planning secretary, Khyber Pakhtunkhwa planning and development (P&D) secretary, high-ups of KP government and Economic Zone Management Committee chairman. Talking to Chinese ambassador, Asad Qaiser said that Pakistan was proud of its unique friendship with China. The speaker said that the incumbent government was committed to taking the relations between two countries to new heights. He said that exemplary relations between Pakistan and China were based on regional development, mutual trust and trade and economic cooperation. Cooperation between the two countries was rapidly expanding, he added. 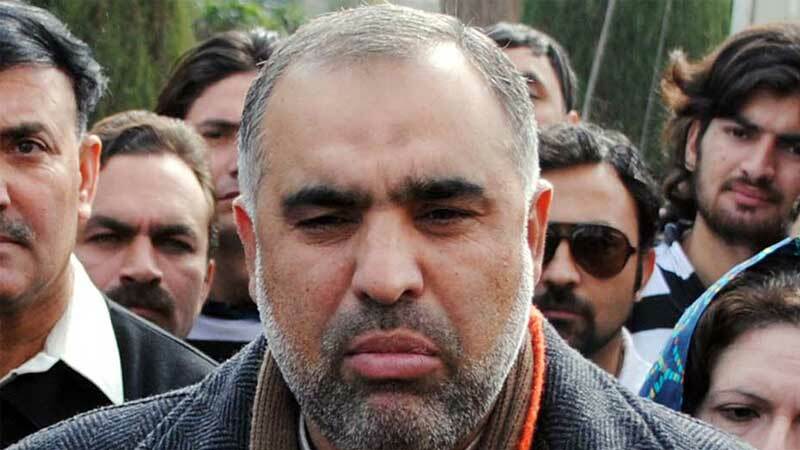 Talking about the CPEC, Asad Qaiser said that the project was a consequence of all-weather friendship between the two countries. He said that CPEC would not only be beneficial for Pakistan and China but for the whole region. He stressed the need for early completion of CPEC Projects. The speaker said that completion of the Rashakai Economic Zone would prove to be a milestone in development of the area. “With the completion of this project, the standard of living in the area will be improved,” he said, adding that equal opportunity would be provided to all provinces in CPEC-related projects. He said that Pakistan economy was linked with CPEC and all possible measures would be taken for its early completion. Asad Qaiser also stressed the need for improvement in Peshawar Circular Railways System. He assured that all out cooperation of federal and provincial governments for completion of CPEC projects. He expressed the hope that with visit of Prime Minister of Pakistan Imran Khan to China would bolster ties between the two countries. Ambassador Yao Jing said that CPEC would open up new avenues of development for the people of the region. He said that relations between the two countries were improving with the passage of time. He said that the agreements and MOUs of mutual cooperation would be signed during the visit of Prime Minister Imran Khan, which would bring the two countries closer. The Chinese ambassador expressed the hope that the visit of Prime Minister Imran Khan would prove to a milestone to bring the relations between two countries to new heights. He said that the people and government of China values high its exemplary friendship with China and wants to see a strong, stable and prosperous Pakistan. Published in Daily Times, November 1st 2018.